My opinion: A small, personality-rich hotel in the centre of Portugal‘s second city which offers comfortable, unfussy rooms alongside original features, character and hospitality by the bucket load. And all at a price that will have you smiling as you hand over the plastic. The Hotel Internacional is a wonderful blend of historic house with original 19th and 20th century features such as its gorgeous mosaic tiles and stained glass, with contemporary style and comfort. It’s small enough to make you feel like you’re a house guest rather than a faceless visitor and the staff are smiley, happy people who make you feel like they’re genuinely pleased you checked in. 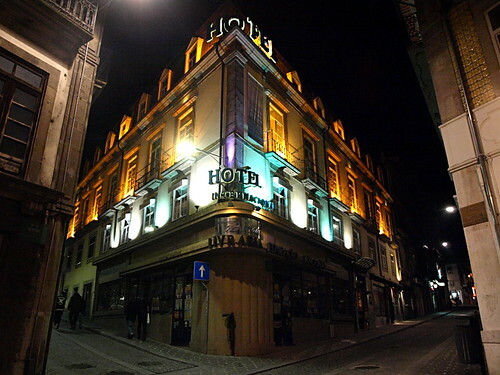 Location, location: One street behind the magnificent Praça da Liberdade in the very heart of the UNESCO World Heritage historical centre of Oporto, Hotel Internacional is in easy strolling of museums and churches, the liveliest bars, the best restaurants and the main shopping streets. The Douro River is a ten minute stroll downhill through the city or a three minute walk and a funicular railway ride which will drop you safely down the cliff side quicker than you can say “Wow – look at those views”. Rooms and Common Areas: Rooms are not luxurious or grand but they’re clean, the beds are comfortable and there’s plenty of wardrobe and cupboard space. I stayed in room 206 which had a small wrought iron balcony overlooking Rua do Almada; not a view to feature on local postcards admittedly but a great people-watching spot. The in-room WiFi is non-existent, sending you down to the bar area (any excuse) for a signal which has all the speed of a slow boat to China. The en suite bathroom could do with a makeover but there’s lashings of hot water. Stone archways, half tiled walls, alcoves with stained glass panels and terracotta floor tiles join rich, vermilion walls in the lobby, halls and landings. There’s a comfortable lounge/TV area where you can pick up WiFi, a charming dining room with abstract art adorning the walls, and a café style bar where you can enjoy a glass of the local beer, Super Bock, while watching the never-ending Premiership and SPL football coverage. Facilities: This is a budget, city centre hotel and there are no facilities to speak of. Ideally placed for exploring Oporto’s cultural treasures, shops, cafés and wine cellars by day and its bars by night, you’re unlikely to have time for a spa and fitness centre. But if that’s what you’re after, look elsewhere. Food: Breakfast is a continental style, self service buffet with no hot dishes on offer. Sweet tooth owners will enjoy the cakes and pastries selection each morning. The coffee is hot and strong, the bread rolls are fresh and the ham and cheese are plentiful. 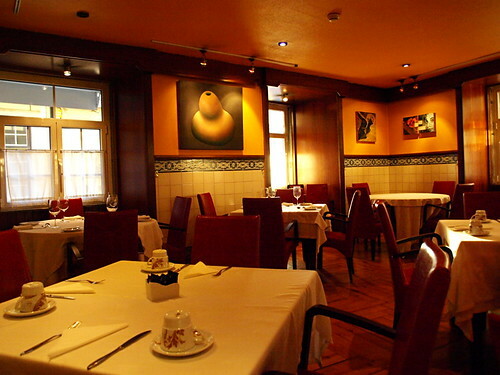 The hotel also has a very good restaurant, O Almada, which is listed in the Michelin Guide and features classic Portuguese dishes like Caldo Verde (green soup) and Bacalhau en Crosta d’Alheira (salt cod in a crust). Service fell apart at the seams on the night I dined there but to be fair, it was New Year’s Eve, packed to the rafters and every guest arrived at the same time. 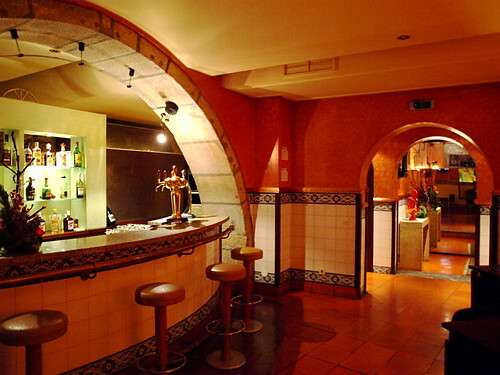 I’m assured the service is usually excellent – the food certainly was. The Hotel Internacional is ideal for: Couples, families and singles and is the perfect base for a weekend break in the city.